If you didn’t know burning mouth syndrome(BMS) is a problem where people having burning in their mouth area including their tongue, gums, lips and everywhere in the mouth, it can even affect the throat. It’s not only burning it can also be general discomfort, having a bad taste in your mouth or even the sensation of a dry mouth and/or throat. The problem with burning mouth syndrome is that there is no clear way to determine is that is the root cause. It is usually determined by symptoms alone. It also can be referred to as burning tongue syndrome, glossopyrosis and glossodynia. The most common issues that leads to burning mouth syndrome is nerves that are damaged or have become damaged, this damage can come from a host of different things. A few of these things could be for example swallowing a hot liquid, allergic reaction to denture materials, fungal type infections and acid reflux. There are a host of things that can cause it, you can read more about some of the causes here. It’s this nerve damage sometimes called neuropathy which often leads to these problems in the mouth and sometimes throat. One thing that can happen is that said nerve in the mouth, tongue, throat or wherever will become damaged – this nerve will start to send false signals to the brain. Basically, everything will become more sensitive and this nerve will send false signals to the brain even when it is something that never annoyed you before because of the damage that was caused. 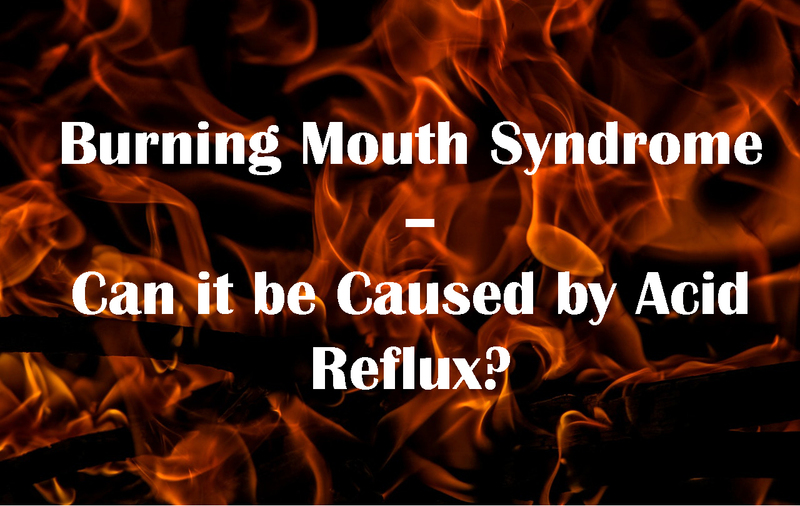 Can Burning Mouth Syndrome be Fixed? The great thing if you do have burning mouth syndrome is that it can be fixed. But the important thing to note here is that you can only work to fix it if you know the root cause. As I mentioned before there are a host of different potential causes one of which is acid reflux. Let me cover the most common ones below. While there is no 100% degree of certainty there have been studies done to show patients with BMS where deficient in important minerals which can possibly affect symptoms. The main ones to look out for are vitamin d3, vitamin b2, vitamin b6, zinc, vitamin b1 and thyrotropin. A more common cause of BMS is from allergies. When I say allergies, it could be from a host of things. Different foods could be a common cause, additives in food could be a cause or even some dentures (materials) could bring it on. As for the food allergies it would be a good idea to do a food allergies test to see if you are allergic or even intolerant to certain foods. As for dentures you will know – if you recently got dentures or changed your dentures then this could be a prime cause for your BMS. This could be because of what the dentures are made from or it could be because of a bad fit that causes pressure on certain muscles in your mouth which could bring on the BMS. Believe it or not acid reflux can cause BMS. This is acid that has refluxed up from the stomach all the way up your esophagus and into your throat and mouth. In this cause the burning sensation would come from the affect of the stomach acid that has entered your mouth, also having a bad taste in your mouth could be a sign that your BMS has come from acid reflux. The problem with BMS and suspecting that it is acid reflux is difficult. It could be somewhat linked to a problem called LPR or Laryngopharyngeal Reflux which is a problem I have covered extensively on my site. Someone who has LPR has primarily symptoms in their throat area and this is related to acid reflux. Though someone with LPR typically doesn’t have symptoms as would a typical refluxer or someone with GERD / gastroesophageal reflux disease, they would have no heartburn or related symptoms usually with the symptoms being related to the throat. 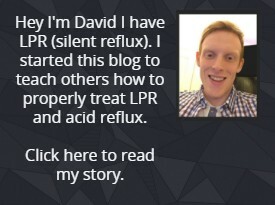 If you have burning like symptoms in your throat as well as your mouth, there is a decent chance that your problem could be directly related to reflux and treating your problem as if it where LPR could be the best path you could take. You can read more about LPR here in my complete guide. There are a host of other symptoms like sore tongue or burning tongue, hoarseness, breathing issues, burning sensation, chronic cough and throat clearing and many other which you can read more about here. The problem with most doctors is that they don’t notice the relation. That’s why LPR is sometimes called silent reflux because you don’t have the traditional symptoms like a GERD patient would have. This often leaves doctors thinking that it couldn’t be reflux related, but this problem still stems to LPR where a similar problem exists with proper diagnosis severely lacking and the same applies to burning mouth syndrome. As much as a fifth of the population can actually suffer from this silent reflux and they too will feel hoarse and have other minor symptoms but usually this is only short-term. Whereas with LPR the acid reflux is more constant. This acid constantly damages the throat and the mouth and tongue, with can lead to damaged nerves which are constantly getting burned because of this reflux and perhaps bad signals being sent to the brain due to this constant acid damage. If you think your symptoms may be related please check out my RSI(reflux symptom test) which will show you if you symptoms match someone with acid reflux/LPR which could be the direct reason for your burning mouth symptoms.